Without any experience just a passion for being funny and making people laugh I’m assuming there’s no chance for me to get a comedy role? I hate to be negative, but most people think I’m funny, and then I state I would love to go into comedy, they respond by telling me I have no experience so I’ll never make it..
You don’t have experience until you do it a bunch of times, so the only solution is to start doing it. Remember, even the best comedians had a time in their life when they had no experience. So give it a shot! Hi, I am interested in a second career, after retirement I am 64 yrs old and this is and has been my passion and vision of a career in TV. commerical. Plz give me any leads and helful advise to get started. I am excited and ready to go with this next step in my life, I am full of life and travel a lot since retiring from the Airline industry. Great info. 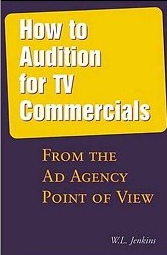 I was at my callback this past week for a national commercial and did exactly the same thing I did at the 1st audition. I also wore the same thing. I took direction well and was cordial. Now its wait for the call to either be released or to be booked and that’s the hardest part so “that’s show business” folks!